Madrid is now fast recovering from a recession, with a healthy pick-up in wages and consumer spending. Despite possible bureaucracy and difficulty in finding quality housing, Madrid has the makings of a good expat lifestyle with high accessibility, well-equipped facilities and a lively local culture. Madrid is a very industrialised and modernised city with an extraordinary growth not just in population, but also in wealth. Skyscrapers and high-speed rails are seen in its metropolitan. The progressing economy of this town makes it an ideal destination for expats who are looking for better opportunities. Located just northeast of the centre of the Iberian Peninsula; the city of Madrid was founded by Muhammad I in 854, who was then the Emir of Cordoba. As the area was populated by a Muslim majority, Madrid was originally known as “mayrit” which came from the Arabic word “majira” which meant water channel. In 1085, the city was conquered by Christians, who replaced Muslims in the centre of the city and moved Jews and Muslims to the suburbs. Madrid became home to Castilian Kings over time and was made the capital of Spain in 1561 by Philip II. In 1919, Madrid was able to develop a metro system. However, the 1930s brought difficult times to Madrid due to differences in political ideologies, as the Spanish were not for a monarchy and civil war erupted in Spain. By the early twentieth century after the death of General Franco, Madrid began to modernise with palaces, museums, gardens and elaborately-designed buildings being built all over the city. Today, Madrid is run by a city council which consists of 57 members, with the mayor being most dominant over the council. The council oversees and approves numerous decisions regarding the elections and rules and regulations of Madrid, along with the approval of budgets within the city. As the third-largest city in the European Union, Madrid is the political, economic and cultural centre of Spain. The currency used in Spain was the peseta from the year 1869 until 2002, which was replaced by the Euro when Spain joined the European Union in January 1986. Though Madrid is the capital of Spain and serves as its political and commercial centre, this city has managed to preserve its natural beauty. 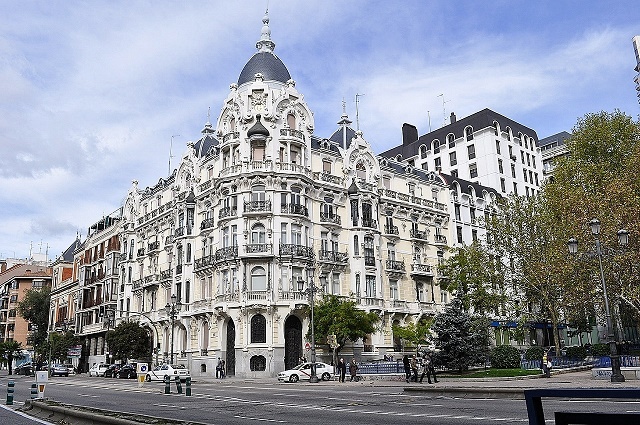 You will see high rise buildings and state of the art infrastructures in many spots of the metropolitan, but there are also many historical landmarks that mirror the city’s rich Spanish culture. Madrid is now a much-internationalised place with expats from different parts of the globe who found employment opportunities in its constantly growing economy. But despite being influenced by diverse cultures, Madrid is still deeply rooted in tradition and offers a laid-back vibe where you can live a quality way of life. If you are looking for a job either alone or with your family, Madrid is an ideal place to be and here are some tips that you can use in relocating to this wonderful city. English is a widely spoken language in Madrid, but it is still best that you study some Spanish because it will help you in many ways especially when searching for accommodation. There are many ways for you to find a place to live like browsing through real estate websites, looking at local newspapers for advertisements or asking around fellow expats for referrals. But since most landlords speak the mother-tongue, and if you are not yet fluent in speaking it, it's best to hire a local realtor to help you out. There are parts of the negotiation period and in the contract that you need to understand very well, and a broker can act as your translator and help you communicate. Utilities are not usually part of the rental pay, and in Madrid, the average monthly bill for your water, electricity, gas and garbage collection is €150. You can get an unlimited connection for around €35 per month and make local mobile calls which are charged €0.20 per minute. When moving abroad, even with a secured employment, the first few months are considered to be financially critical. You can always purchase new items, but it's still more practical to bring some of your belongings so you won't fall out of the budget. Gratefully, there are international shipping and removal companies that provide door to door service to Madrid. Their team of professionals will pick up the delivery from you and monitor its shipment until you receive the packages to your new address. The average transit time is between 26-39 days, depending on your originating location. Containers will arrive in the Port of Valencia where customs will perform an inspection; after clearance, cargos will be delivered by land to Madrid. To get information about the city’s import regulations, click here. There is no quarantine period for animals entering Madrid, but you need to present your pet to a local Customs Veterinarian for physical inspection. You are also required to submit your pet’s Rabies Vaccination Certificate (not less than 30 days and not more than one year) and International Health Certificate (issued at least five days before arrival) both signed and endorsed by a government accredited veterinarian from your home country. This city prides itself on having a warm-hearted approach to expats from different nationalities and all walks of life. Madrid’s sunshiny skies and scenic outdoor spaces are just some of the many reasons why you and your family will easily fall in love with the idea of living here. Madrid is only second to Barcelona when it comes to being an industrial centre, but this is not an easy feat for a city that has experienced a recession. Lifestyle in Madrid is very laid back, and though the city has seen economic challenges especially in recent years, local families rarely feel work pressure. Starting life in Madrid is a good start to embracing both traditional and modern Spanish culture. The city is fantastic with friendly locals who are always welcoming and open to sharing their city’s history to newcomers. Foreign nationals would also find how Madrilenos admire their Spanish royal family and how the city became Europe’s trade and industry hub. Getting around Madrid is made easy by its Bus and Metro services. International assignees may stick with their expected transportation allowance by maximising the use of the public transportation card. The card provides accessibility to all of Madrid’s public transportation and can be topped up with an “abono” or a monthly credit. If you want to immerse into Madrid’s culture, the best way to do it is by visiting its food market. Expats have a variety of markets to choose from once they live in the city. Some of the most popular markets include Mercado De San Miguel, Mercado de Maravillas, Mercado Anton Martin and Mercado Dela Paz. Foodie expatriates would also find it exciting that there is an actual Gastro Festival celebrated in Madrid. Spanish utilities are all obtained separately in Madrid. Electricity is provided by various companies such as Groupo Endesa and Hidrocantabrico. For gas usage, local gas companies around town are available and usually bills every two months. However, water can be scarce when in Madrid. There are tonnes of ways to enjoy an expat life in Madrid. Those bringing their children with them can spend time touring around the many museums and tourist spots in the city. Parque de Atracciones like Retiro Park, Metro Casa de Campo and Real Madrid are spaces for children to play some outdoor fun. Other entertainments for children includes Calle Maestro Aquarium, Museo De Cera and Madrid Vision. Nightlife in the city is pretty much alive with the many clubs and bars in which expats can visit after work. Some choose from Joy Eslava, Barco and Teatro Kapital. Spanish fiestas are well celebrated in Madrid as well, and some include Dos de Mayo, San Isidro, Almudena, Festival de Otono and the colourful Madrid Pride Week. There are more than 3.3 million people in Madrid, and it is quite a large city, making it a challenge for expatriates to adjust. The good thing is, the Madrilenos are known for their friendliness and hospitality. Ask them about their cultural history and they will tell you all about it. Part of the Spanish culture is they have siestas (afternoon naps). Dealing with it is one of the things expats find hard to get used to, especially those from the Western countries. Most stores and employees take an hour or two from their daily job to take a break or nap. Madrilenos also take this as a time to spend with their families. Expats must understand that the locals value family time and rest a lot. The language barrier can also be an issue for those who have little to zero knowledge in speaking Spanish. The locals appreciate it when expats take the effort to learn some conversational phrases and show politeness when asking for someone’s assistance. Foreign assignees must also be careful with their table manners which are normally observed when you dine in public. Forks and knives must not be switched, best to learn some of the table manners before moving to Madrid. 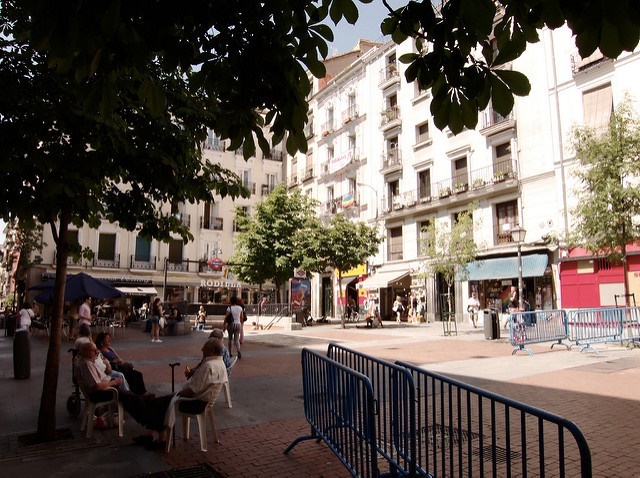 At present, Madrid is a thriving city that continues to attract people from all over the globe. Holding a population of roughly 3.3 million people, Madrid’s cost of living, nightlife, art and culture has appealed to numerous expats from a wide variety of countries. As of 2011, around 83.8% of inhabitants in Madrid are Spaniards, while immigrants make up 16.2% of the total population. When it comes to religion, a majority of those living in Madrid are Roman Catholics, as most holidays and festivals that happen around the city have strong ties to the Catholic faith. Other common languages spoken in Madrid aside from Spanish are English, Catalan, Galician and Basque. Madrid houses many historical and cultural landmarks, such as the Royal Palace of Madrid, the Del Prado Museum and Madrid’s National Library, which was built in the 19th century. You will be undoubtedly attracted to this city because of its welcoming, warm weather, mountainous landscape and vast natural parks. The city also holds the distinction of being the 17th most livable city in the world, according to Monocle magazine. 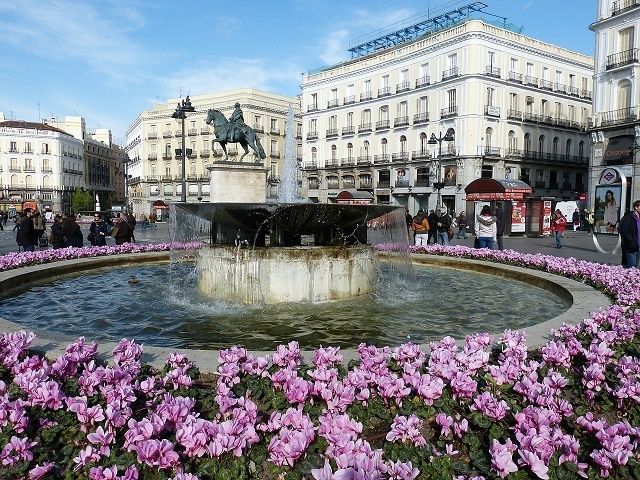 Madrid enjoys a Mediterranean climate and is generally sunny throughout the year. July and August are the hottest months where temperatures can go up to 40ºC (104ºF). May, June, September and early October generally experiences warm temperatures where it’s perfect for doing outdoor sports and activities. Daytime in winters is sunny, and it gets cold at night, but temperatures rarely go below 0ºC (32ºF). The city rarely experiences snowfall.